Unauthorized workers often attempt to secure a job by fraudulent means through the use of false documents. Could you or your staff spot a fraudulent document if a new hire presented one for the purpose of completing their I-9? 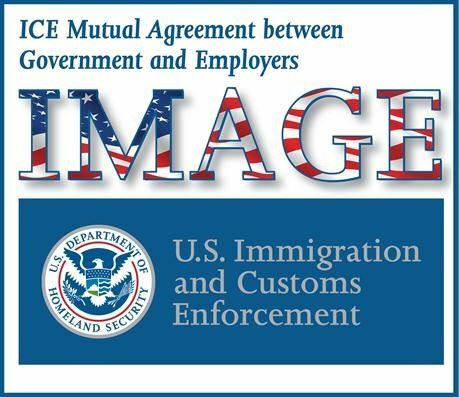 In an effort to curb unlawful employment, U.S. Immigration and Customs Enforcement (ICE) has developed the ICE Mutual Agreement between Government and Employers (IMAGE). Through this initiative, ICE arranges for outreach, education and training for U.S. employers. During our December program, Special Agents with ICE will provide attendees with an overview of some of the documents frequently submitted to employers to establish authorization to work in the U.S. The discussion will include the necessary completion of the Form I-9 and a review of some of the basic security features which may indicate that a document, such as a Social Security card or a Legal Permanent Resident card, is fraudulent or has been altered. Also, please note that MCHRA will be hosting a teddy bear drive for Project HOPE at this meeting. If you would like to participate, please bring a 12-24 inch stuffed animal to the meeting. For more details, please see this link. Special Agent Joseph (Chip) Black is a Special Agent with Homeland Security Investigations (HSI) within U.S. Immigration and Customs Enforcement (U.S. ICE). He began his federal law enforcement career in 1995. Special Agent Black has been involved in a variety of criminal investigations, including fraudulent identity creation, identity theft, fraudulent identity document vending, and alien smuggling. Special Agent Black is currently serving as the North Texas and Oklahoma coordinator for HSI’s “ICE Mutual Agreement between Government and Employers,” or “IMAGE” program. In this capacity he is working directly with individual employers in our area by equipping them with the knowledge and the tools needed to ensure the proper completion of the Form I-9 and reducing unauthorized employment, which eventually leads to individual employers obtaining the “IMAGE Member” designation.